I’m obsessed with avocados. I’ll find any excuse to incorporate them into a dish, I love that meal that much more. But here, the avocados were just begging to be added to something great. Something different from my normal dinners, but something fresh and perfect for the heat spell. 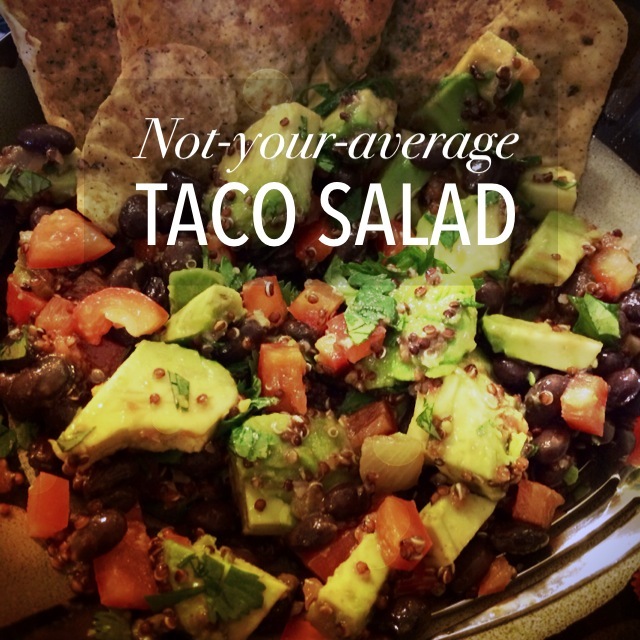 With some cilantro on hand among other things, a Quinoa Taco Salad emerged. Chop the red bell pepper and cilantro. Cut the ripe avocado until the desired slices or cubes. (How to find ripe avocados here.) Scoop avocado pieces out of shell with spoon. Add all to bowl and mix with salsa and lime juice. Don’t forget about the tortilla chips! For this, anything could be added: corn, lettuce/spinach/kale, sour cream/Greek yogurt, jalapeños, cheese… the list goes on. 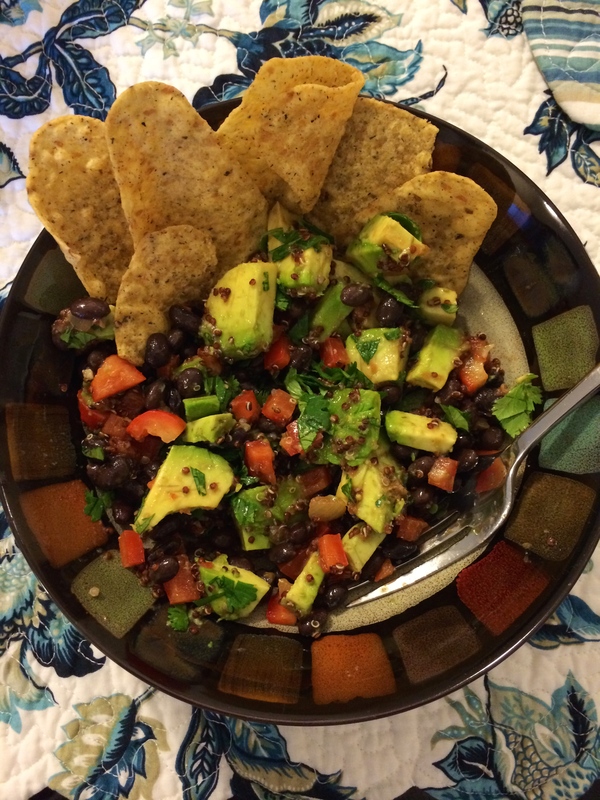 I used quinoa for some added protein to the black beans, but you could substitute any meat in as well. Just used what sounds like savory combinations. Pingback: Jump Headfirst into 2015 | Eat. Drink. Savor. Repeat.